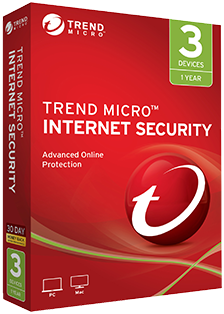 Trend Micro™ Internet Security provides advanced online protection for up to 5 PCs. Using advanced machine learning technology, it protects against spam, viruses, malware and ransomware. Trend Micro™ Security provides advanced online protection and privacy so you can enjoy your digital life safely. It also features the latest in anti-ransomware technology. Industry experts recently rated Trend Micro Security as 100% protection against web threats.